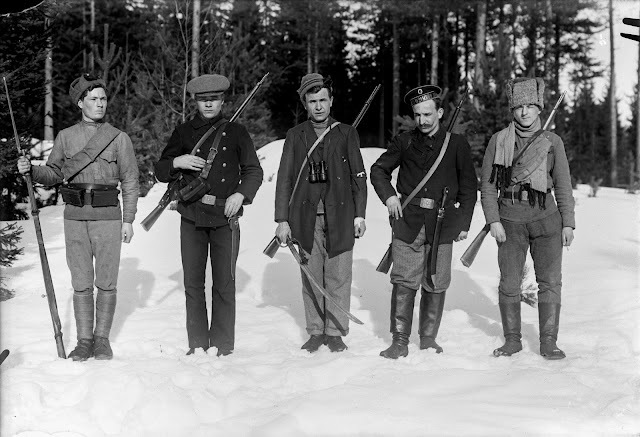 The social stability in Finland had steadily deteriorated as the newly independent nation lacked both police and military forces and the Russian army still had a strong presence within the Finnish borders. Both socialists and conservatives had begun to build their own security forces during the previous summer. To solve the situation, that had already escalated into sporadic violence and acts of terror, the Finnish Senate, with a mandate from the elected Parliament, declared in 25th of January1918 that the Civil Guards would become the Senates army under the command of the General Carl Gustaf Emil Mannerheim, a 30 year veteran of the Imperial Russian Army. The Reds immediately refused to obey the order to stand down their military forces. The Civil Guards began to disarm the Russian garrisons and used the captured weaponry to arm their forces. During the 27th of January 1918 the Red Guards issued a full-scale mobilization within the areas they controlled and declared that they were starting a revolution. Lenin and the Bolsheviks sent representatives to the Red Guards headquarters in Helsinki. On the 27th a trainload of weapons and ammunition were sent from Petrograd to the Red Guards. As the Whites attempted to seize the shipment the two parties finally engaged in an all out warfare. 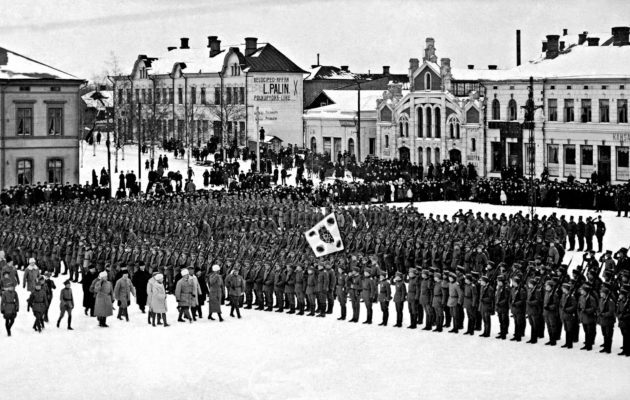 The volunteer Finns of Prussian 27th Jaeger battalion return to Vaasa. The war raged on for four months and with the help of the 2000 Finnish jaegers that returned from Germany and the German Baltic Division the legitimate government ended the revolution. In the the experienced leadership and the superior discipline of the Whites tipped the scales in their favor. The price of the Civil War was high. As the Reds had murdered some 1,100 people, mostly civilians, in the areas they controlled, the Whites retaliated ruthlessly, executing some 7,370 people after the recapture of the Red areas. Approximately 4,000 Whites and 4,500 Reds were killed in action. Furthermore the war and the general mayhem had caused a famine and 20,000 people died, many in the prison camps where the Whites rounded up the defeated revolutionaries. What could we learn from the bloody events that happened a century ago? If you mix a fractured society, even ethnically and culturally homogeneous one like Finland, with an outside influence, some highly polarized politics and biased news outlets and rumors, you can drive a nation apart. The Russian Bolsheviks aimed at destabilizing Finland so that the Finnish socialists would join the international revolution or that at least the still forming USSR could later on retake Finland with minimal effort. USSR did indeed attempt to capitalize on this previous fracture within the Finnish society 21 years later. In 1939 when USSR invaded Finland, it created a puppet-government and attempted to appeal to Finnish socialists. That plot failed miserably and over 120000 Russians perished in the failed invasion. 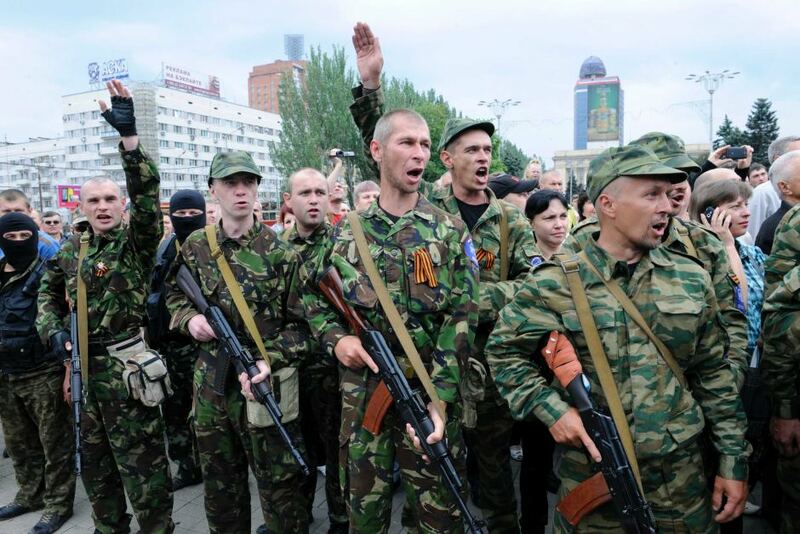 Surprisingly many parallels can be drawn from those events to the modern-day conflict in Ukraine. While the reality of the Donbass war is that it is a Russian invasion disguised as a civil war and the war of 1918 was a genuine civil war where majority of the reds were in fact Finns. If we step from reality in the realm of Russian propaganda the events start to look very similar. Russia says it backs and supports the local miners and tractorists in the Donbass. Just like the Bolsheviks supported the Finnish workers. Weapons, funds and advisers from Russia were present in both wars. Russia also using its mass media to manipulate both Russian and Ukrainian people to buy their false narrative. While the Finnish civil war ended in the white victory and led the nation into freedom and prosperity we can only hope that the Donbass war will end with a similar results.